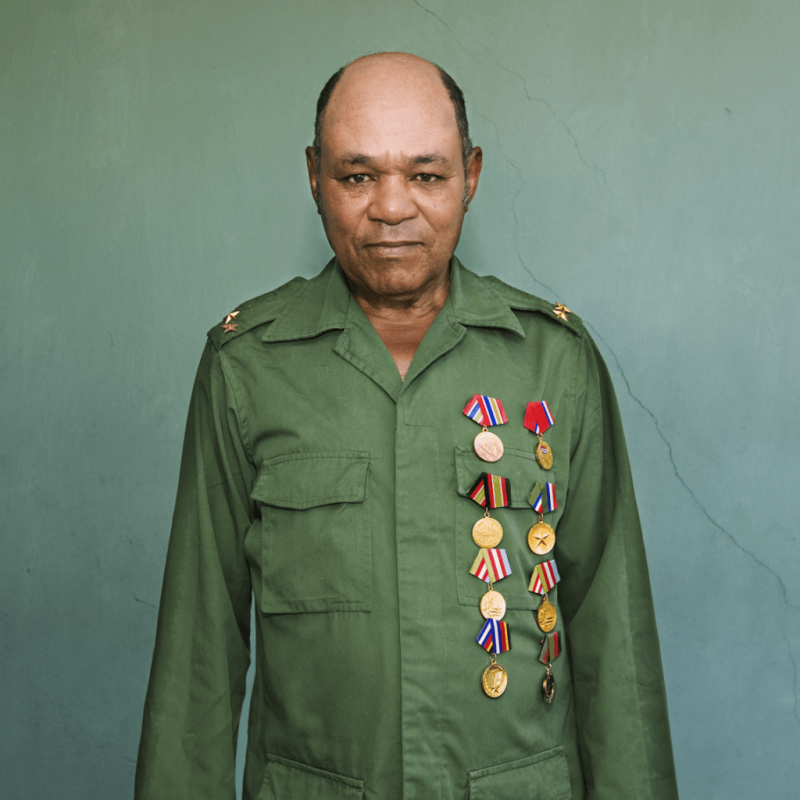 Cuba 1959 : 50 Years On ‘ is a portrait series of Fidel Castro’s revolutionary army. Many joined Castro as teenagers, out of the conviction that Batista’s oppressive dictatorship could not continue, but without a clear idea of their leader’s strategy. It was after their triumph that they understood what they had fought for – sovereignty and socialism – ideologies they are still faithful to. For these humble countrymen, the revolution and building their community after its triumph constitute their life’s work. Understanding this generation’s history is fundamental to reflect on Cuba’s complexity today. There is an uncertain but hopeful future for young people – these men’s grandchildren, the inheritors of the revolution and the future leaders of the nation. Alinka Echeverria is a Mexican/British artist working with photography and video. A graduate from The International Center of Photography in New York, she also holds a Masters degree in Cultural Anthropology from The University of Edinburgh. Her personal work has been exhibited in London, New York, Oaxaca, Mexico City, PIngyao, Madrid, Milan and at the Venice Biennial of Contemporary Art.